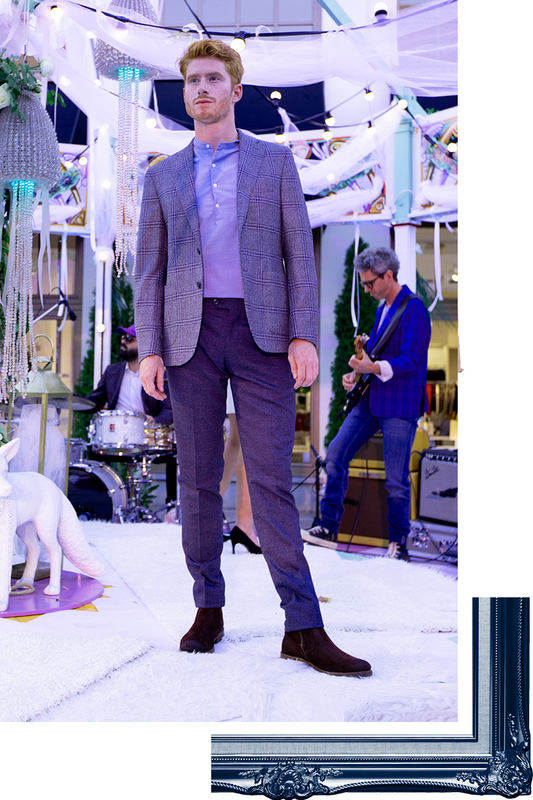 Last Wednesday we celebrated our Blue Campaign with a catwalk show on a turning carousel. The looks featured in this editorial come straight off the runway. Did you miss our spectacular event? No worries, below you can find a recap with our favourite looks, fully on-trend for Fall/Winter 2018. All perfectly matching our Blue theme which you'll see across all Maasmechelen Village. 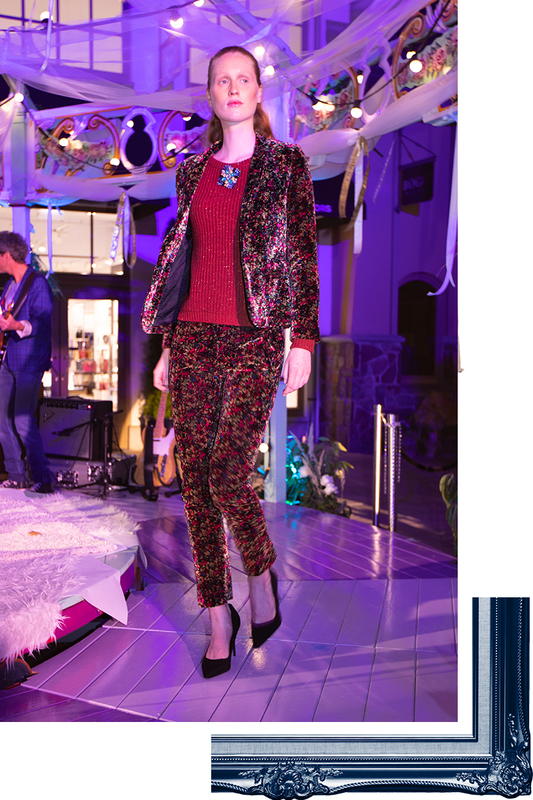 Last Wednesday we celebrated our Blue Campaign with a catwalk show on a turning carousel. This look is suitable for all ages. Combine it with knee socks for a more youthful look. Heading to a party? Wear it with a small bright blue bag. Men of all ages will feel comfortable in this blazer from Boggi. The check print is on trend this winter, but it gets even better with Sandro's classic blue shirt. The Versace blazer and Ba&sh midi skirt make a trendy combination. Midi skirts are on trend this season and also a print is a true must-have. The tuxedo jacket and belt make this a high end bohemian look! The colourful print of ocher yellow and rust make combining this suit super easy. Rust is super on trend this autumn/winter. A suit is ideal for the office, whether you wear it with sneakers or high heels. Bohemian meets feminine in this outfit. This bomber jacket from Ba&sh ensures a cool look while the dress, also from Bash, gives feminine flair. Wear it with sneakers for a more casual look.